This is probably the best boot animation I have ever seen in a TV! 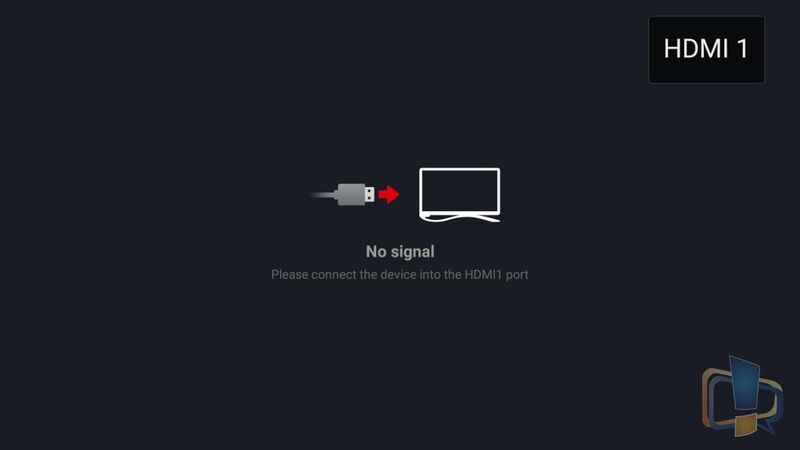 LeEco Android TV has a boot animation, which entertains you while it starts in the background! You gotta watch this..
As the penetration of Netflix, Youtube, LIVE TV has increased in India, so has the need of smart TVs in India. Why do we need a Smart TV, because it’s so much in trend now, plus we do not want to spend money on a dumb idiot box. Why should we, when we are paying a good amount for it, then it has to be a smart TV, not a dumb idiot box. But big brands like LG, Samsung, Sony has kept the real smart TV costs such high, that most smart TVs has been out of reach for a middle-class consumer. 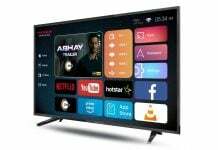 This is where Chinese players like LeEco showed their brilliance in bringing an Android Smart TV (an OS with which people are already aware of) at an affordable price, that they become the first company in India to sell a TV in a flash sale. LeEco is already doing good with the sales of their superphones, and now the Netflix of China (LeEco) is revolutionizing by handing over futuristic technology at the price of a premium smartphone. Why LeEco LeTV is able to clear their first sale in just 3 minutes of their Super3 TV, because of the specs, they’re offering. 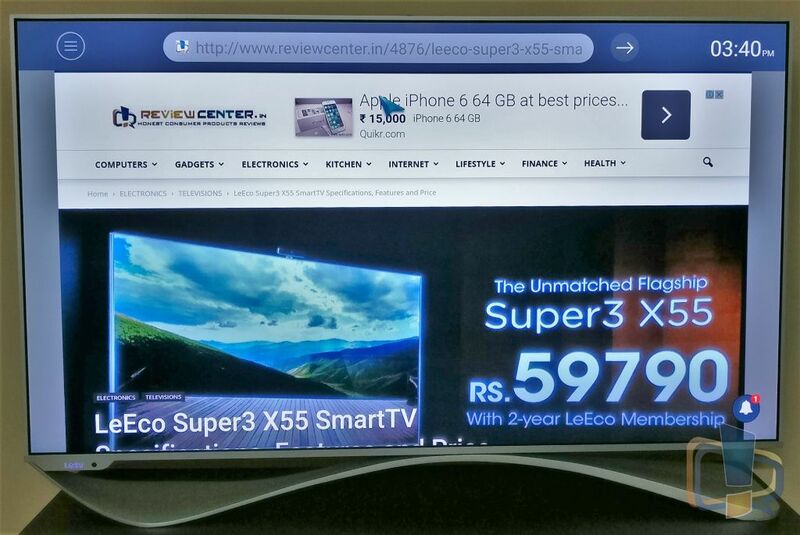 If you compare specs of a TV having 4K display, Android OS, WiFi support, Smart Remote, Supertainment packages, normally these TV costs above 1.5 Lakhs starting from big players like LG, Samsung or Sony. Hope this comparison clarify the things I tried to say above. With other companies, you’re not just paying for the product, that includes the brand value too. And not to forget, LeEco is giving display panel of LG only in their TVs. No matter any model of LeEco TV you may buy, it comes in huge secured packaging. The TV itself is heavy in weight, and the TV stand comes in a separate box. So the Android TV which was launched today by LeEco is here. It's LeTV Super max55, the flagship model…. Review and feature story coming soon.. If out of excitement you think you’ll install the TV by yourself, call along a helping hand too, because it is impossible for one guy to take TV out of the box and to install it. Or better wait for the service person to come and install it for you. Along with TV, in the accessories, you’ll also find a security lock kit. If you don’t want to hang the TV on the wall, rather want to keep the TV standing on the stand, you must get this security lock kit installed, as it’ll protect the TV from falling in case of any mishappening. When you first time turn ON the TV, it’ll ask basic questions and would require few inputs, very similar to how you setup an android phone. Do connect it to WiFi or LAN with Internet access (not mandatory) if you want to run TV with latest updates. Normally TV takes around 20 seconds for complete boot as it’s an Android TV. To entertain for those 20 seconds, TV shows an animation as shown above. Before TV, let’s start with TV stand itself. It’s a big curved stand, entirely made of metal yet it’s light weight. 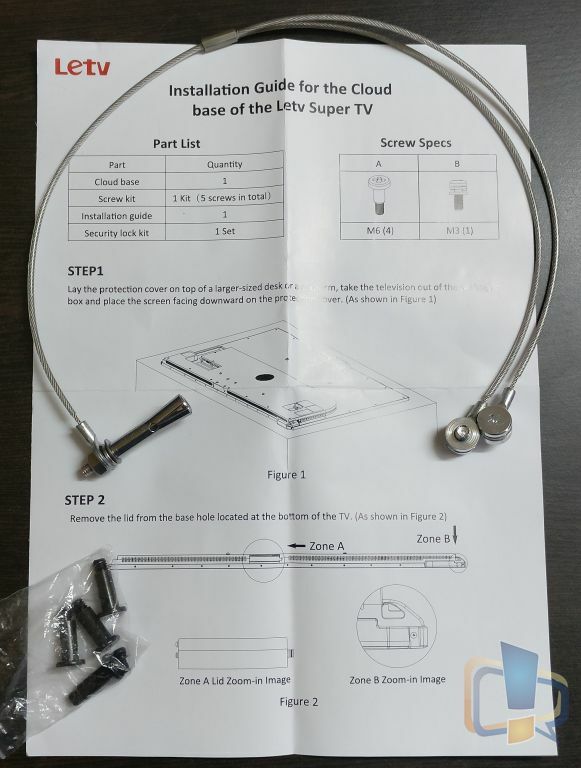 To connect the stand with TV, screws are provided which you need to screw in after attaching that in TV. The length of TV stand is equal to the running length of TV; that’s why this is the most stable stand you’ll ever find for any TV. If you look at the bottom of the stand, it has a high quality rubber grip placed at both ends, which stick to any even surface firmly, helping in increase the stability. When TV is resting on the stand, you cannot slide it; you’ll have to pick it up for moving it even for an inch. Coming to the design of TV, it’s a 15.5mm thin display with a metallic (aluminum alloy) frame around and a narrow bezel of 6.9mm, it feels solid yet I would recommend taking care of it nicely. Finishing of the TV is excellent, and there are no sharp corners. Hence it’s kids friendly. 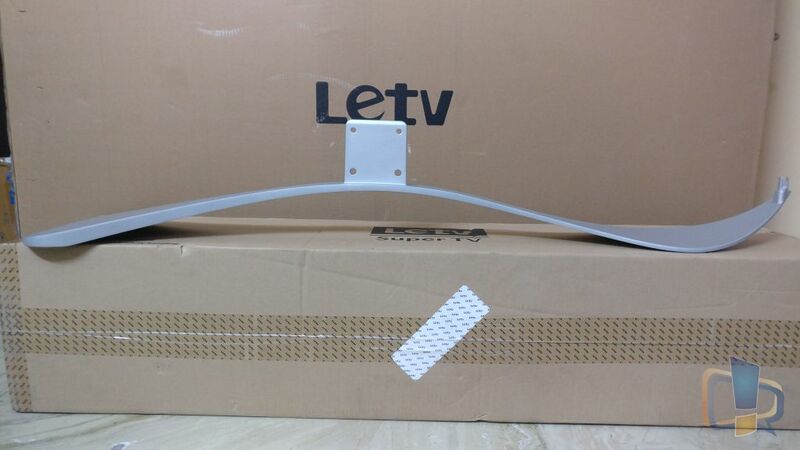 There’s also a LeTV logo with backlit which glows on different intensity when TV is ON or OFF. At back, it’s complete black and has slots of various inputs provided by LeEco on the TV. 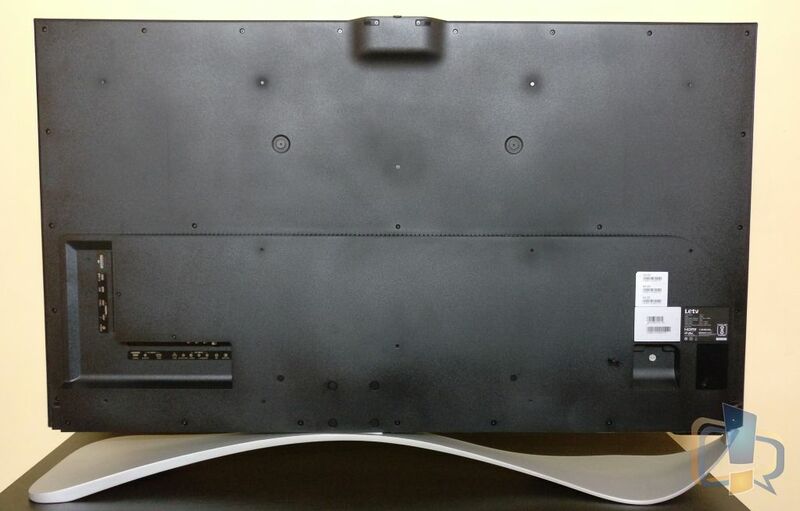 You can find the TV model information and the serial number of product here. The bulge at the top is for connecting webcam or any other compatible accessory you may want to connect it with. Starting with input options, LeEco provides a range of input/output options which you may expect from a premium TV. Starting from viewing at back from left bottom, these are the input/output options i.e. HDMI 2.0 (with support of MHL 2.0), Audio and VGA input from PC, Ethernet 10/100M Lan Port, Audio Out, Audio/Video input (for Set-top box), RF (standard cable) input and SPIDIF (Optical Output). Speaking of USB options, it has SD card input (I attached 32GB microSD card with SD adapter, worked fine, yet maximum supported capacity is unknown), one USB 3.0, One USB 2.0, two HDMI (one supporting ARC) ports and YPbPr input. At the top, there is another USB 3.0 which can be used for data transfer or attaching a webcam. 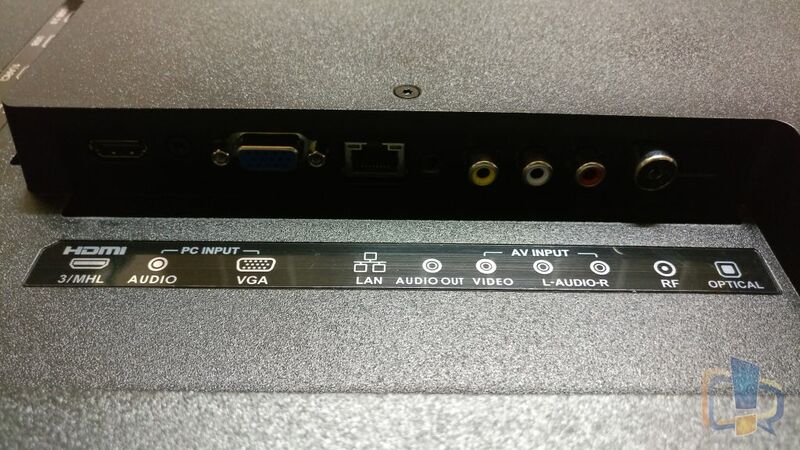 Since it’s a USB 3.0 port, you can attach an HD webcam and the TV should support it without any issues. Just in case, if you want to operate TV without the remote in times of urgency, you can use these buttons provided at the right side of TV. Plus using this power button to turn OFF TV or taking out power plug would mean same thing, as it permanently turns OFF the TV. Speaking of display, this TV has a 55inch sized LG IPS display with 4K [3840(H) x 2160(V) pixel (1 pixel = R+G+B dot)] resolution. It supports viewing angle up to 178° and max brightness level goes to 430nits and with a frame rate of 60 Hz, you can enjoy the most graphic-intensive game on it. 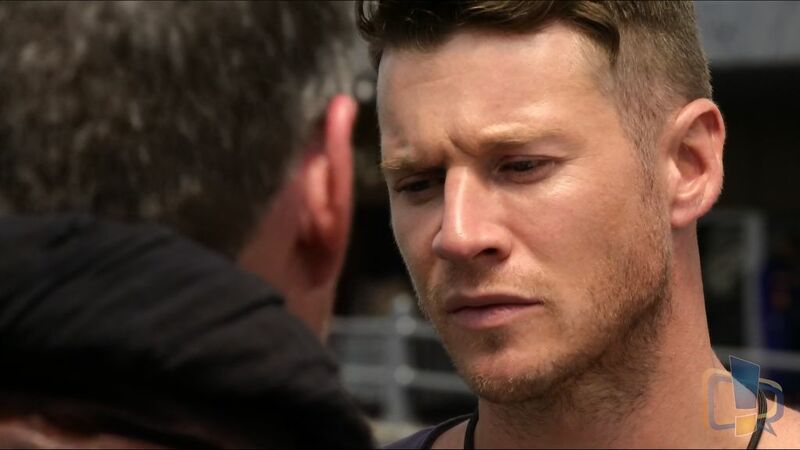 In my experience, TV was able to upscale the content to a good level for serving better picture quality. 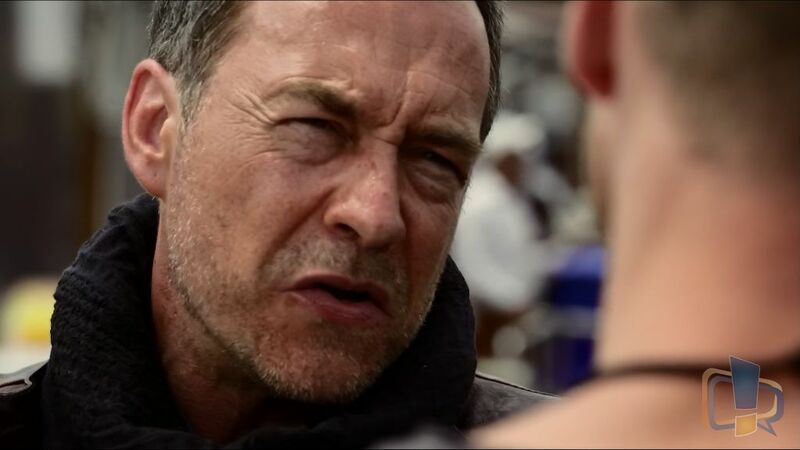 With Blue-ray videos and upscaling 1080p videos, you’ll be charmed the quality of it. If you’re shifting from a 32″ or 40″ display, you’ll be surprised by the detail of video content you’ve been missing till now. Black level on the display is excellent, and color reproduction was good and was not saturated anywhere. Speaking of audio quality, it was good. Typically we needed to keep the volume bar above 30-35 for normal TV watching and for gamers, you might require it to keep above 50. However, the bass levels are good and speakers are loud enough at full volume to keep the neighbors furious. However it lacks a custom equalizer settings, but for a more surround sound experience, we would recommend you to have an external set of speakers. Even a sound bar would do, which you can connect to TV via Bluetooth. Let’s jump on the part which attracts me most. Having an Android TV has many advantages, it’s like exploring a new horizon of experience of Android with a bigger display. 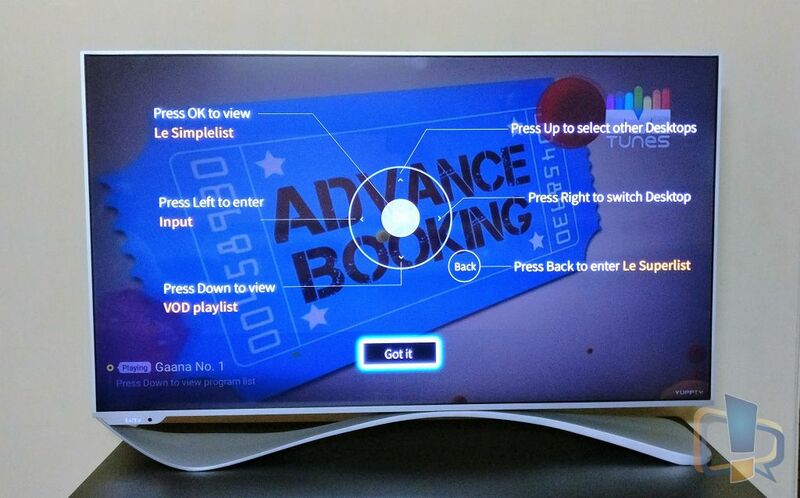 This TV gives you almost the same Android experience which you’re already experienced with. 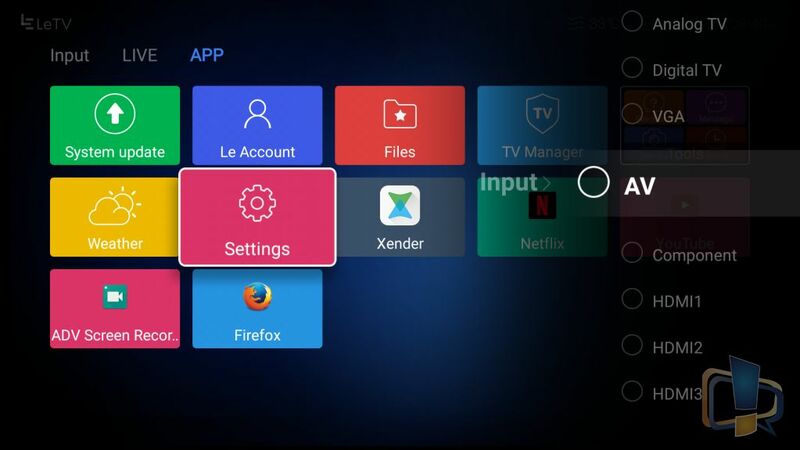 Although the GUI is nothing like Stock Android, as it’s a television and it’s meant to be used by anyone whether it’s a kid, adult or an old aged person. This video is of LeEco LeTV Super3 X55 Settings Walkthrough. You'll find a black screen where the content is meant to be shown, as it's a screen recording we did using an android application and Android restricts screen recording of any media content because of media protection rights. Rest assured, content was playing fine at those places, whether it was LIVE TV or content input via HDMI or VGA port. To make you understand the TV in a simple manner, the GUI divided into 3 screens, i.e. 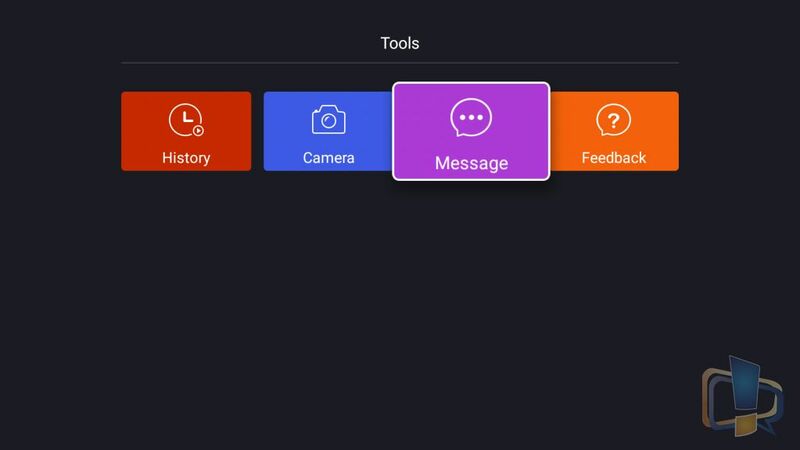 The 3rd screen shows the apps and settings interface. Let’s start with the sequence they’re displayed on the TV screen. Most manufacturers provide regular updates to their smartTVs in order to survive in the market. 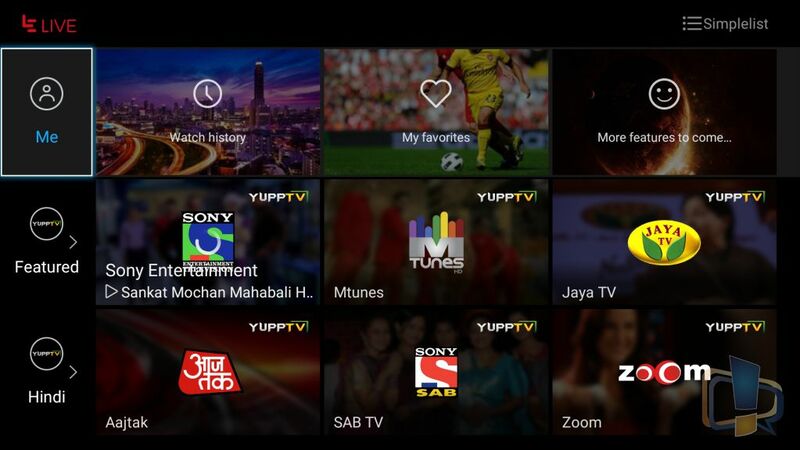 Nowadays updates in TV have become equally important like as if on a phone. When this TV has an update, it’ll show a red dot on the screen as shown above. And since, LeEco is good in pushing regular updates to their devices, so this TV will also keep getting regular updates as required. 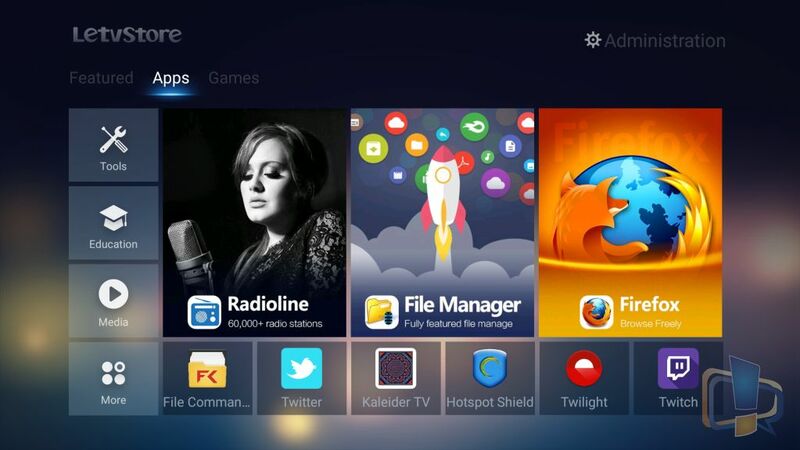 And sometimes even apps gets regular updates like LIVE TV, Le Store, SuperRemote, etc. for which you don’t need to wait for the big system update. 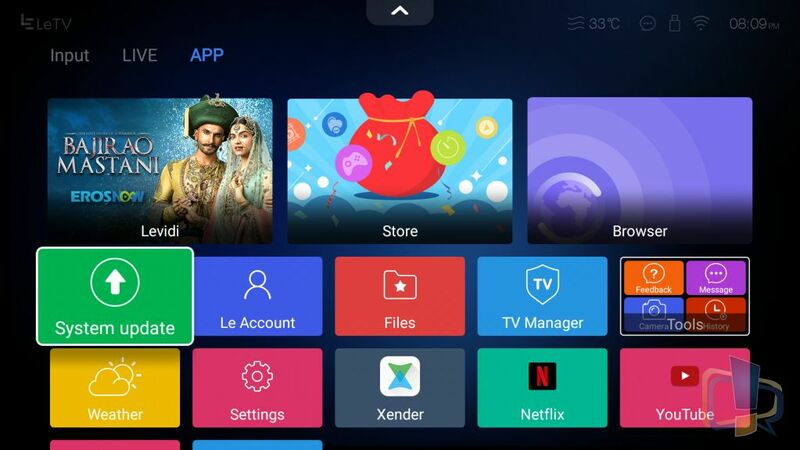 TV offers regular apps like File Manger, Le Account Manager, Tools [which provides a history (of watched videos), Camera (if attached), Messages (Yes LeEco can push messages like update notification) and an option of giving Feedback to LeEco if required], Store, Browser, etc. P.S. 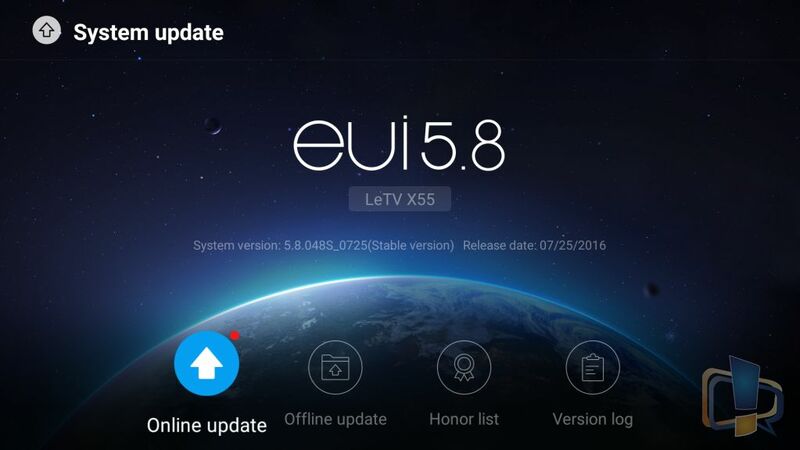 The TV has LeEco own Le Store, not Google Play Store, nor you can install it. 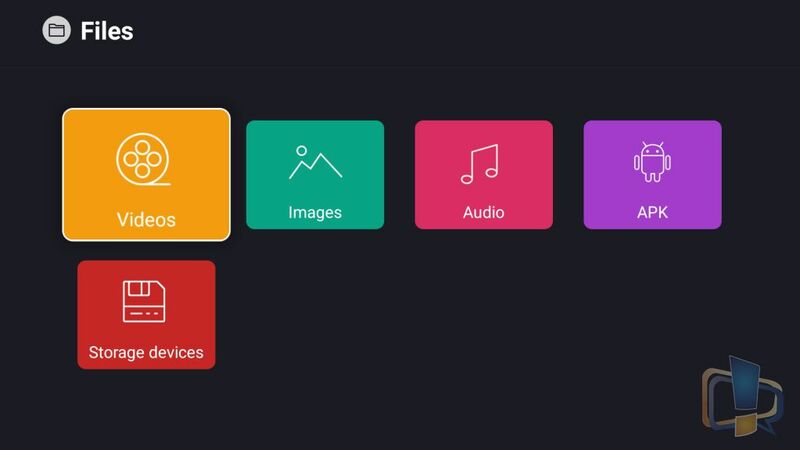 So, for installing apps like Youtube, you can use Le Store. In our review unit, Youtube and Netflix were not pre-installed, but on retail units, it should be pre-installed. If you didn’t found those pre-installed, you could install Youtube from Le Store and Netflix using an apk. At present, Le Store doesn’t have many apps to offer, may be LeEco is testing each and every app on TV before offering that in Store. So, in case if you don’t find your required app, you can install using apk by downloading from the Internet. The easiest method would be to install ShareIt or Xender on TV, connect it to your smartphone wirelessly, transfer and install the apps directly from these apps. Or attach an SD card or USB Drive with your apk’s and file manager will show you those in the APK folder. 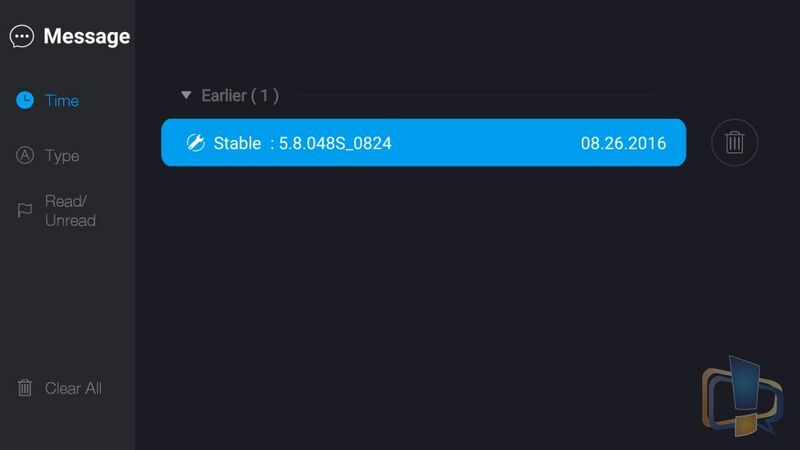 Input shows a direct shortcut to jump on any input screen you’ve attached with it. You can cast your phone screen directly to the TV without requiring Chromecast device. Just open Cast settings in your Phone/Tablet, start wireless display service in TV, and TV will show up as an option on your phone, just Tap over it and your phone/tablet screen would be mirrored to TV. The Only unfortunate thing is, it doesn’t support Intel WiDi. Hence you cannot mirror display of your laptop which has inbuilt Intel graphics. 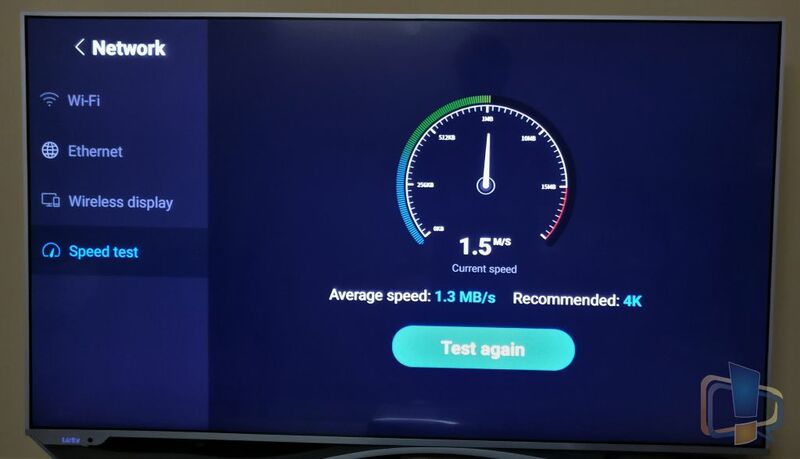 TV has integrated SpeedTest application whose speed test results are accurate, but the recommendation definition it shows is sometimes not accurate. Here you can set the display tone you want to keep or may want to customize it as per your ease. Here you can select the pre-defined sound settings. Unfortunately, there is no customization option here. This app helps in cleaning junk files, cache and other basic things required for regular maintenance in an Android device. However, it is not mandatory that you may do so, as OS is already customized to clean apps in the background so that the TV may never get slow in functioning. This remote is the lifeline of the TV. 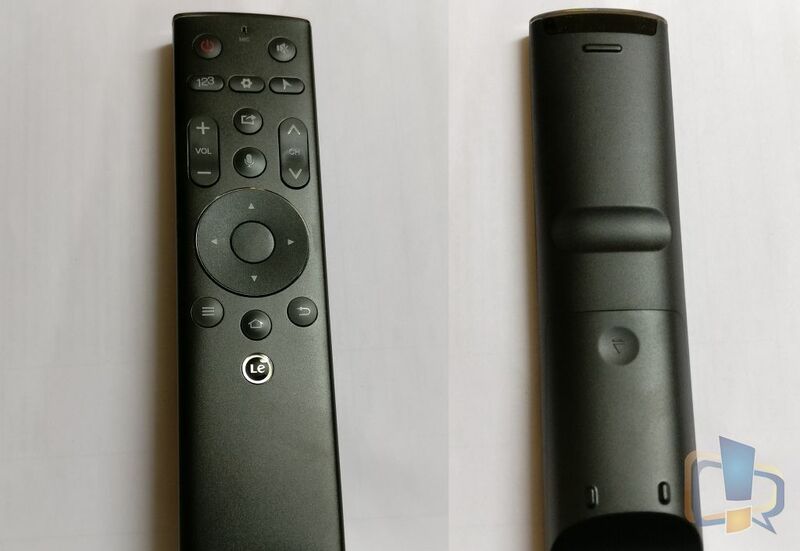 It’s not a simple infrared remote; rather it’s a wirelessly connected remote with TV. It has a voice input (still developing, not available in India), or you can use the remote as an air mouse or gamepad. The mouse cursor can be activated via cursor button on remote, and then it’ll respond to the movement of the remote as a mouse. Voice input and air gestures work only when you’ve connected it with TV, or it’ll work as a standard infrared remote. 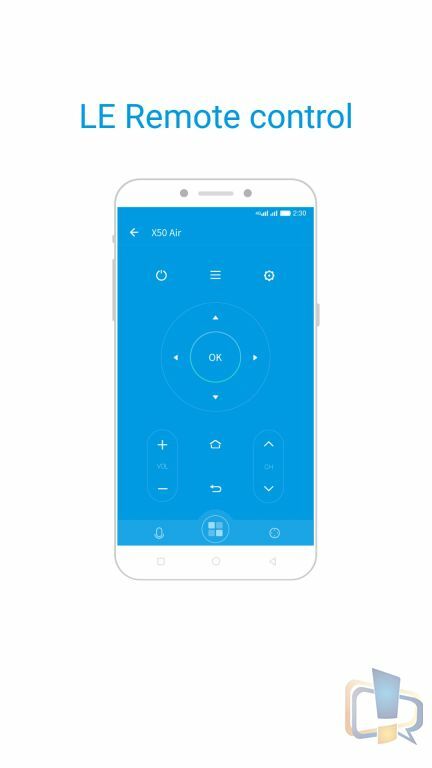 You can also use Remote Control app in LeEco Superphones to operate TV; there is an option to connect the remote app to TV via WiFi. However, that is not working while writing this. So, via infra-red, you can use the remote app for operating this or any LeEco TV model. Maybe that’ll be fixed in future updates along with voice control. With 2 years comprehensive warranty and 4 years warranty on panel, LeEco has disrupted the television industry and probably LeEco is the first company in India to offer a 4K display with Android at a price of Rs. 59790. While writing this, LeEco has successfully sold out their TV in 2 flash sales and this flash repeats every 15 days, so you can pre-register at Flipkart for buying one. My final verdict for the product is that’s it’s worth the money you’ll be spending and is so good looking, that you’ll want to show this to everyone. Summary: LeEco LeTV Super3 X55 is a value for money product considering the price and long warranty terms along with features like 4K LG IPS display and Android OS. It’s a good looking TV and comes with 2 Years Free LeEco membership. Then you read it wrong. No, Razi I don’t sell TVs, but you can check link in articles to buy the TV from Flipkart. 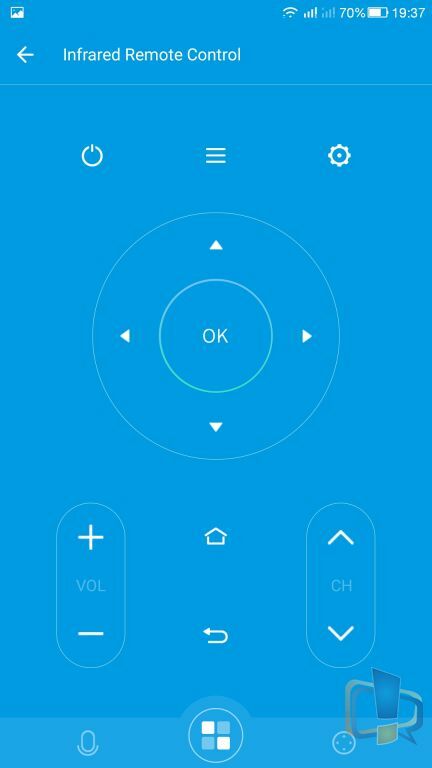 First enable the wireless settings in TV, then use cast option in your phone. When you activate cast in phone, it’ll show the TV in the list, just tap it and your screen will be mirrored. And if you’re trying to mirror laptop screen, most chances are that won’t work. I have Note-5 and it shows the TV name but doesn’t connect and cast the screen. ANy clue? Could be your modem issue. Maybe try lowering security in your modem. I have leeco letv and lenovo k3 note phone, but cant connect both the devices with shareit. Will expanding it with the SD card, expands the internal memory? Can I download games like Asphalt with the SD card? Right now I have less than 2 GB on the TV for apps, will adding SD card help? Do you have any idea on when Leeco would launch Super 4 tv series in india? Install games/apps using apk after downloading it from Internet. Many people are saying.. but on my review unit, this issue was not applicable. I bought this product 6 days back. In remote air mouse is not working suddenly. I want to know the issues. 1. can it be wall mounted? 2. can you play videos on the le eco mobile and cast it on the tv, also playing the sound? 3. can you connect more than one bt device? that is if I am casting any video through my mobile, can I also simultaneously connect BT speakers? 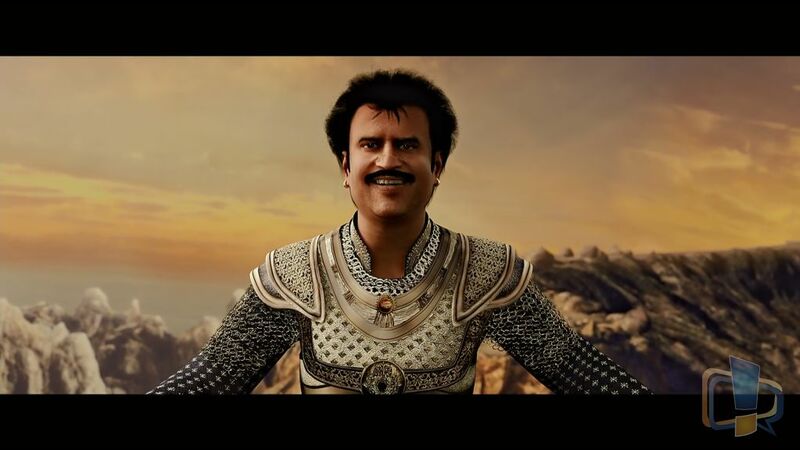 .mkv uhd movie not playing in tv what is the issue? I have the LeEco LeTV Super3 X55 TV in my office i need to USE this for my presentations , how to setup the same, it shows INTEL WIDI not supported , i am not able to screen cast or screen mirror my laptop for presentations, is there any software need to be installed in laptop or in TV.? I have purchased LeEco 55 inch UHD 4K tv on 26/10/2016. Now my tv is working well but I have forgot password for Leeco member ship. Please help me how to retrieve my password to get my connection. Customer Service center is not functioning. When contacted no reply. 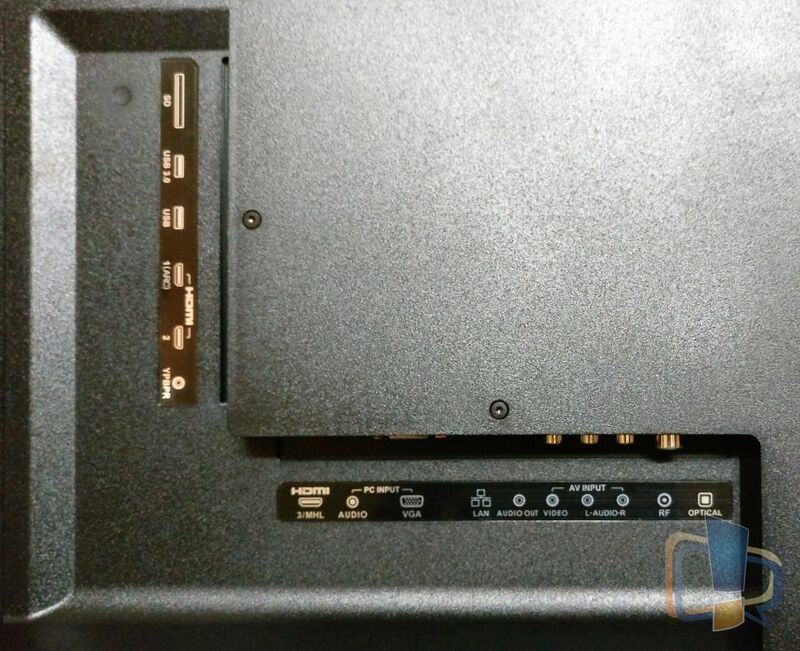 How to fix Sound issues on Super3 X55 LeTv ? I respect and follow your blogs/reviews/comments/inputs. Must say very knowledgeable and informative ! through optical cable & through HDMI. Once connected I am able to listen to the TV sound on the Samsung Home Theater speakers… but when I want to play the sound on the TV’s built-in speakers (after disconnecting the home theater), a repeated message keeps popping up saying ” adjust sound via the external speakers”. Would be great if you could help me solve this issue. Yes, you would need a heavy duty wall mount for that. My remote for the same has gone bad after it fell down.where do I buy a original for the same . I don’t have any idea now. Buy whatever you can get from anywhere for this TV.. or buy an android remote controller as the TV has android OS. Should work in case if you can’t get the original or duplicate remote.